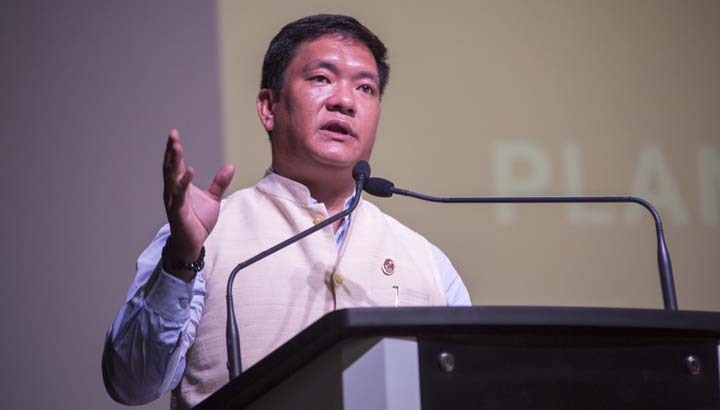 Arunachal Pradesh Chief Minister Pema Khandu conveyed his warm greetings to the people of the state on the festive occasion of Chindang of the Sajolang community. On the eve of the festival, Pema specifically greeted members of the Sajolang community of East and West Kameng districts and wished them a joyous celebration of the agro-based indigenous festival. During these festivities, offering of prayers and performance of rituals are done in the praise of the heavenly bodies and the natural objects like the Sun, Moon, mountains, rivers, and forest to seek blessings for the well-being of mankind and for good harvest. “Every citizen of the state, irrespective of tribe, religion and community, join our Sajolang brethrens in celebrating Chindang and seek blessings of the Almighty for peace, prosperity and good health of our people,” Pema said in a message here this evening. He reminded everyone that preservation of traditions and culture is of utmost significance in today’s world as several indigenous tribes in the world have lost their roots and disappeared owing to rapid modernization.